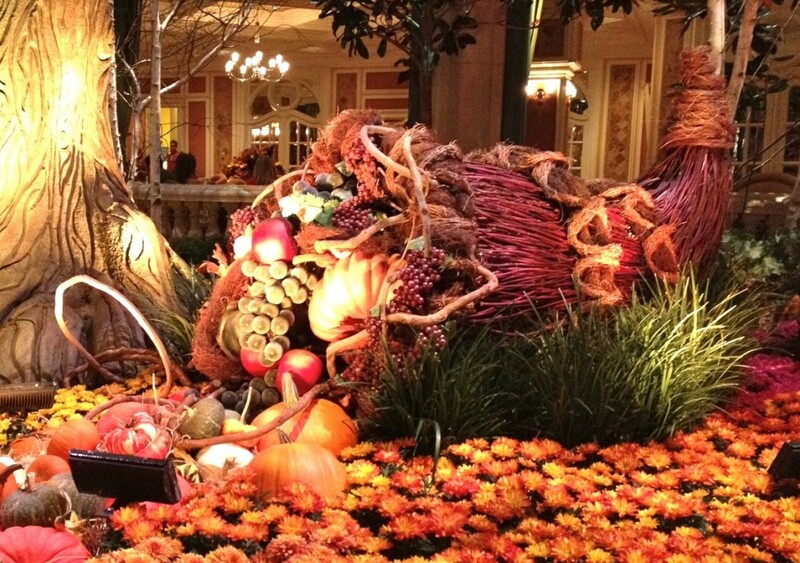 I was in Vegas last weekend celebrating my daughter’s 21st birthday (yes, I am that old) and amidst the assault to my senses– the noise, lights, stink and overall sluttiness –I came upon a very Vegas Fall display at the conservatory in the way-over-the-top-crazy-opulent Bellagio Hotel. The conservatory is the size of a gymnasium, with soaring ceilings and so much to look at that I’m sure I missed some of it. This cornucopia is about 6 feet high, surrounded by fall flowers and of course, pumpkins. 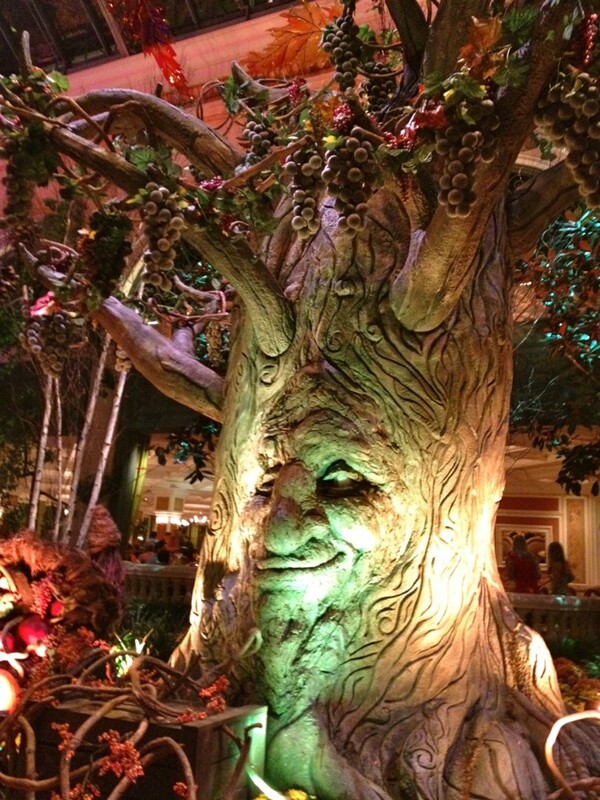 And because it’s Las Vegas, we wouldn’t want to be too tasteful so naturally there was a life size tree that talked and looked at us as we wandered by. It might have been the bloody marys I had all day at the pool, but I felt like he was singling me out. So even though it was 95 degrees and we are still dining outdoors in California, seeing autumn decor in the stores and Halloween supplies everywhere I look is almost putting me in the mood for cooler weather and close toed shoes. Almost. This entry was posted on 10/8/12 and is filed under random goodies.